We are getting closer and closer to launch of my next novel! I’ve reviewed the print proof, got the last of the beta reader fixes in, and submitted what I hope are the last of the changes to CreateSpace and KDP. Next up is running a giveaway on Goodreads, which started today and ends on launch day, March 28. Please click here to enter. I’ll wait. The reason I run a Goodreads giveaway is simple: It’ll get my book on the “to read” shelf of several hundred people. Will they read it? Nope. The people who enter these things have literally thousands of books on their “to read” shelf. So why bother? Because when you look at the book page, it’ll have lots and lots of activity with all those people adding it to their “to read” list. I believe that when people stumble across the book page, they’ll see all that activity and assume this is a “real” book, not just some random self-published vanity project. To maximize the numbers, I run my giveaways globally. US-only giveaways are a lot cheaper because you can ship the book anywhere in the US for just $3. If someone outside the US wins this, it may cost me upward of $25 to send the book. Maybe more if it’s someplace particularly remote. And the winner will probably be international, because that’s the bulk of the people who will enter. The US-only giveaway market is crowded. There are tons of them going on all the time. But fully international ones are more rare, so my book will be among the few those folks see available. Seriously, please go enter. And good luck! Another interesting metric on that spreadsheet is my sell-through rate. That is, what percentage of people who read Entropy go on to read Duality. It’s a little tricky because I’m mostly interested in people who just read Entropy going on to read Duality, not people who read Entropy a long time ago. So what I do is look at gross sales of each, but only starting a couple months after Duality had been released. Using that approach, my sell-through rate is 32% and that number has been consistent for the past few months. So a third of the people who buy the first novel choose to read the sequel. I have no idea if that’s good or bad by industry standards, but that’s my number. One last number that I like to watch is my average net royalty. This is the $300 that actually made it into my bank account divided by the 500 books I sold, so 60 cents. (Actually it’s 64 cents right now when you use the actual numbers, not the rounded off ones.) This has been steadily dropping since I launched, which makes sense because I have lowered my prices over time and a lot of my Entropy sales are a direct result of Twitter ads, which I try to keep at break-even, but sometimes don’t quite make it. The “learning experiences” I mentioned above that didn’t sell any books also drag this down. Without those it would be about a buck. My next novel launches in a couple weeks, and it’ll be interesting to watch how it impacts everything. Even though it is the third and final of the series, the new book actually makes a good stand-alone read. So unlike Duality, which I couldn’t market on its own, I am going to do some marketing of Gravity by itself. If it works, that could generate sell-through back to the earlier books, as people want to get to know the characters better. Time will tell. Anyway, that one hater hasn’t derailed me, and so with all the pants removed and redundancies sorted, a final copy has gone to my printer, CreateSpace. They will have a gorgeous paperback proof copy in my hot little hands next week. Actually, I ordered two, so I have one to give away on Goodreads. But I’ll get to that in a bit. I’ve picked a launch date of March 28. There is a lot to do before that, and I thought it might be fun for you to see it all laid out. I’ve launched novels twice now, so I have a pretty set procedure. Receive the print proof. Start proofreading when I can find time, but do that in parallel with all the other stuff I’m about to list, none of which requires that my text be final. Make the Kindle version, and upload that to KDP. Publish it for pre-order, with a launch date of March 28. Ask KDP support to link the Kindle and Print versions on Amazon.com. Set up shortcuts at mybook.to for both versions. Set up pages on Goodreads and Librarything for the new book. Schedule a Gooodreads international giveaway of that extra proof copy. Send my beta readers a link to the Amazon page so they can post reviews. Draft a couple ARC (advance review copy) reviewers who write those crazy reviews on Goodreads with all the animated GIFs. Send out ARCs to folks who have reviewed my previous books on their blogs. Finish proofreading the paperback and update the print and Kindle versions as needed. 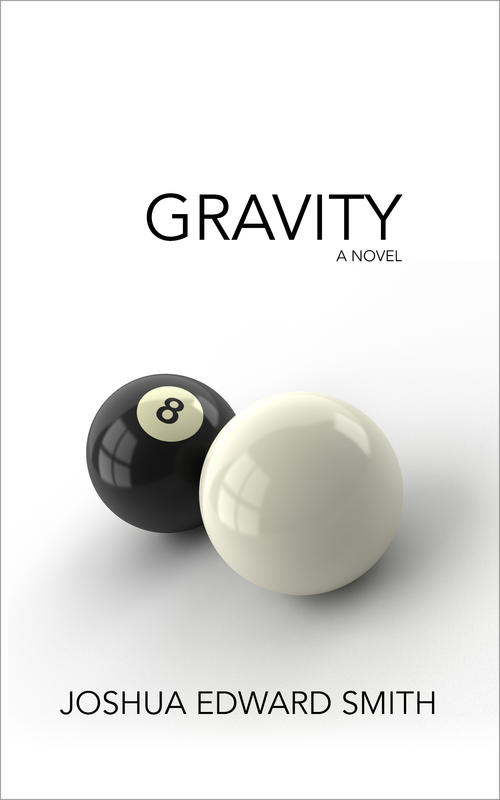 Update the back matter on Duality Kindle edition to include a link to Gravity. Order a dozen copies of the final book, for signed sales. Make pull-quote graphics for Twitter? I don’t know. I didn’t get any traction from these for Duality, so I might not bother with them this time. Send a note to my mailing list announcing that the Kindle version is available for preorder, and telling them how to get signed copies if they want. Gently remind my beta readers that I really need them to post that review. Send the proof to whoever won the Goodreads giveaway. Run a Twitter Ad campaign and tweet a lot on launch day.